2018 saw two noteworthy developments for Prince Edward County real estate buyers: higher end homes faced downward price pressure in 2018 while the market for homes under $300,000 continued to shrink. Despite the downturn in the Toronto real estate market, sales of County homes over $300,000 grew in 2018, posting an 11% gain. However the number of listings grew even more rapidly, up 28% for the year. 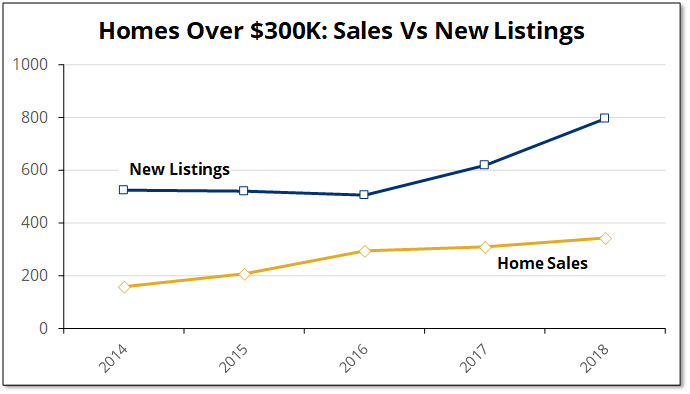 With listings growing faster than sales, it should come as no surprise that there was downward pressure on home prices in this range. 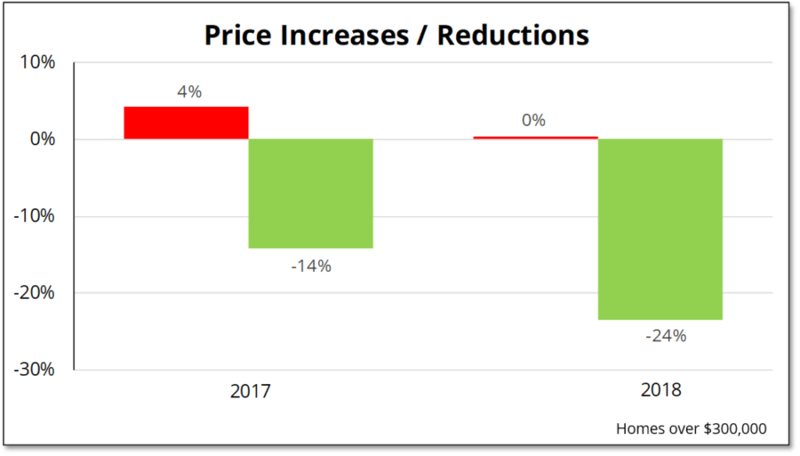 As recently as 2016, price reductions were almost unheard of. As the market cooled in 2017, 14% of homes over $300,000 had price reductions. 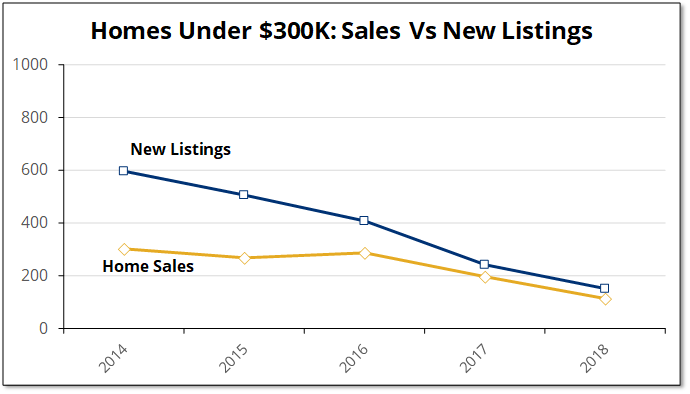 With listings increasing faster than sales in 2018, 24% of homes sold had price reductions. The situation was different for homes under $300,000 where the supply of new listings fell by 37% in 2018. On the demand side, homes under $300,000 were most affected by changes in the mortgage market during 2018. A stress test was introduced in January 2018 which required borrowers to proving that they would be financially OK even if interest rates rose significantly. In addition, mortgage rates increased during the year. Between limited supply and the the tightened mortgage rules, sales of homes under $300,000 fell by 43% last year. Mortgage changes were not the only outside developments affecting County real estate. Probably the biggest real estate event of 2018 took place in October when Prince Edward County Council began the process to regulate Airbnb’s. At least through the end of 2018, this does not appear to have had an effect on the market. The health of the Canadian economy affects real estate across the board. The economy was going strong, but the Bank of Canada has recently cautioned that growth may be petering out. Interest rates, which are closely tied to the overall state of the economy, have a major impact on real estate. Interest rates were expected to increase in 2019, but in December, the Bank of Canada indicated that it was moderating its plans to increase rates. Council will establish specific regulations for Short Term Accommodation in March which could affect home sales.